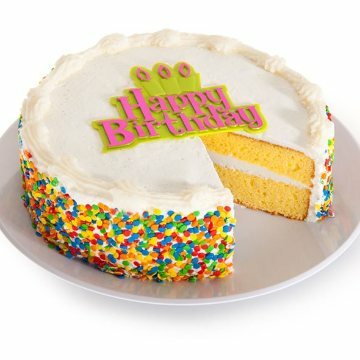 We know how stressful birthdays can be, so we’re taking the pressure off with our delicious Vanilla Happy Birthday Cake. Our decadent, moist vanilla cake is topped with fluffy, white vanilla frosting to create the perfect dessert no matter what age they’re turning. You go right ahead and enjoy yourselves and leave dessert duty to us.